I have a client with over 5 employees. Once a month they submit a expense report with all receipts attached. It then goes to the Owner for approval. Then to me to process. 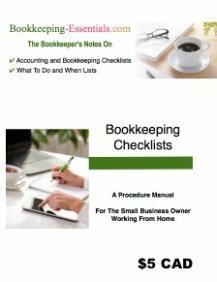 The previous Bookkeeper would do a general journal entry for each employee and total all expenses, breakout the GST and post those numbers in the accounting system. Would you agree each expense should be posted and not lumped together as one total for a proper audit trail? Also how would you recommend setting this up in the system? Would you create a liability account for each employee or would you set up each employee as a vedor and post each expense in the payable journal versus the general journal? My preference, as there are only 5 employees, is to setup "Credit Card Type" accounts in QuickBooks for each employee rather than an Accounts Payable Account. I would create a parent account for employees, then individual employees as sub accounts. The reason I like to do this is I like to use the reconciliation capabilities of the "credit card type" of account. Entering the expense report by the totals for each expense column is not incorrect. Entering summaries is a common practice. For example, one common use of this is entering a daily, weekly or monthly POS summary into QuickBooks. For something like expense reports, I just don't like having to go back and look up paperwork if/when there are questions, so I tend to enter individual items. Of course volume and dollar amounts (Are they material? How frequently are they submitted?) are taken into consideration when deciding which way to go. Once a month for 5 employees … without knowing the whole picture for the business, I'd probably enter the reports line by line and not lump sum totals by expense category. 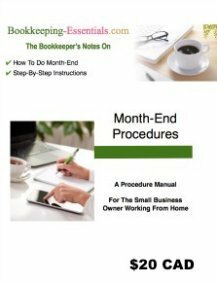 I'll post on Facebook get feedback from other bookkeepers. 1. I have done it both ways. In terms of CRA auditing, lump sum is fine as long as you have the physical original receipts and the GST/HST matches those receipts. I would expense it to a single gl called employee expenses and use the physical expense sheet come tax time to add items into the correct account. Not my favourite way of doing it. I prefer to set employees up as vendors and break down the expenses in the purchase module of whatever software I am using so I can then expense them to the correct account right away. 2. Doesn't matter if entered line by line or as a lump sum. CRA will want the original receipts either way if auditing so its more what the individual company wants. I pay expense reports as an AP/vendor and create a bill per expense report. Expense reporting is such a crucial and a hectic task. A better solution for the same must gives up the better option to get the reporting structure go ahead in a streamlined fashion with dedicated output. I personally use Replicon's expense reporting software for managing my expenses in office as well as in my home. I would recommend you to give it a try. It's absolutely automated and means to give out the result in a strategic way. Good point Phick. There are a lot of software programs out there to track your business expenses. Expensify is another expense report software program I like. 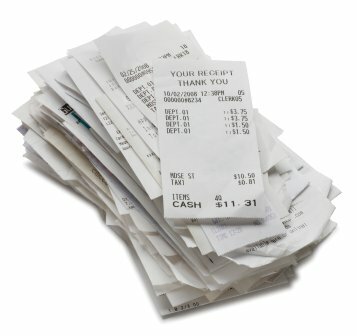 You (or the boss) can take snapshots of your receipts from your smart phone. You give it some coding and voila … you have a paperless expense report to submit to the bookkeeper.